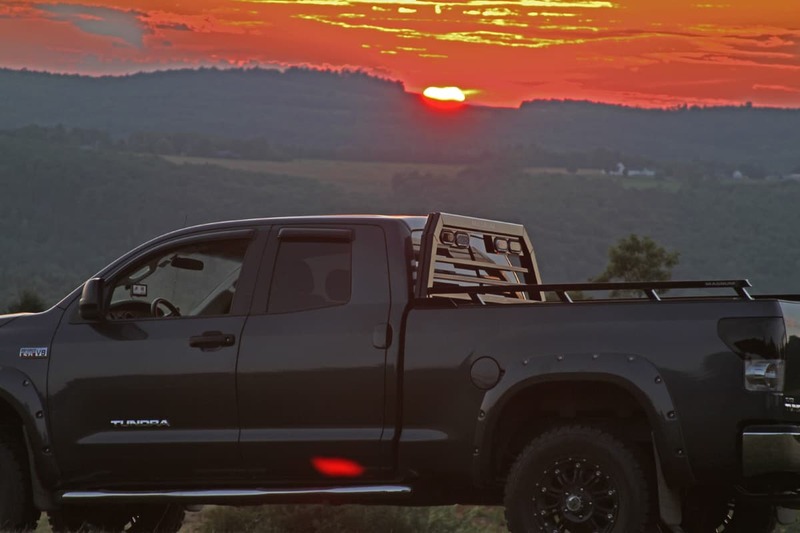 The bed is often one of the most important factors to consider when buying a truck. However, a comparison of truck beds can be challenging since manufacturers often use their own proprietary terms to describe the same style of bed. Additionally, bed sizes aren’t well standardized between different truck manufacturers. This fact often results in a considerable variation in size between truck beds made by different manufacturers, even when the beds have the same general size category. Aftermarket truck beds are also readily available, typically for the purpose of carrying a specific cargo with unusual requirements. The most common bed styles for pickup trucks are standard, step and drop-side. Larger pickups generally have a greater choice of bed style. A standard, or straight, bed has the wheel wells inside the bed and is currently the most popular style. Standard beds were first offered as more expensive options on a small number of trucks during the late 1950s. Ford first offered a standard bed in 1957, which had a full-width interior and smooth side panels. Chrysler soon followed suit in 1959 with the Dodge Sweptline, as did GMC with the Suburban Carrier. Standard beds generally have more interior space and produce less noise at high speed due to the smooth side panels. The major manufacturers now have their own names for a standard bed. For example, this feature is called Fleetside on Chevrolet trucks, while Dodge calls their standard beds a Sweptline. Ford Motor Company calls this bed style a Styleside, which is also known as a Widebody on GMC trucks. A step-style, or well body, truck bed is enclosed on three sides such that the body panels are inside the wheel wells, and the rear of the bed usually has a hinged tailgate. The first pickup trucks had step-style beds, which was the only available bed style until the late 1950s. Step-style beds are generally narrower than standard beds and have a completely rectangular interior. The primary purpose of step-style beds on modern trucks is usually cosmetic appeal. A step-style bed is called a Stepside on a Chevrolet truck and a Utiline on a Dodge truck. Ford Motor Company calls this bed style a Flareside and GMC calls it a Fenderside. A drop-side bed consists of a flat tray with hinged panels comprising the sides and rear of the bed. These panels can be lowered independently and may be completely removable on some models, allowing the truck to carry oversized loads. The brake lights and rear lights on a truck with a drop-side bed are typically mounted under the tray, although some models mount these lights to a bracket on the rearmost part of the chassis. Bed sizes can generally be classified into short and long beds. Short, or compact, beds typically have a length of about five feet with a width of about 50 inches. They’re most common on sport utility vehicles (SUVs). These beds are usually attached to the cab, as is the case with the Ford Explorer Sport Trac. Short beds may also be integrated into the chassis, like on the Chevrolet Avalanche. Compact four-door pickups may have very short beds, and early short-bed trucks only had a cab. Long, or full-size, beds can range from 6.5 to eight feet in length. The total width can vary between 60 and 70 inches, with 48 inches typically being the minimum width between the wheel wells. A long bed with a length of seven feet or less may also be known as a compact long bed, and an 8-foot bed is commonly called a full-size long bed. Long beds are uncommon on compact trucks in the United States and Canada due to the availability of full-size trucks. Larger pickups are typically available with a range of specific bed lengths. Longer beds are more useful on trucks with a utilitarian purpose such as commercial and farm trucks, with eight feet generally being the maximum bed length that isn’t difficult for most people to drive or park. 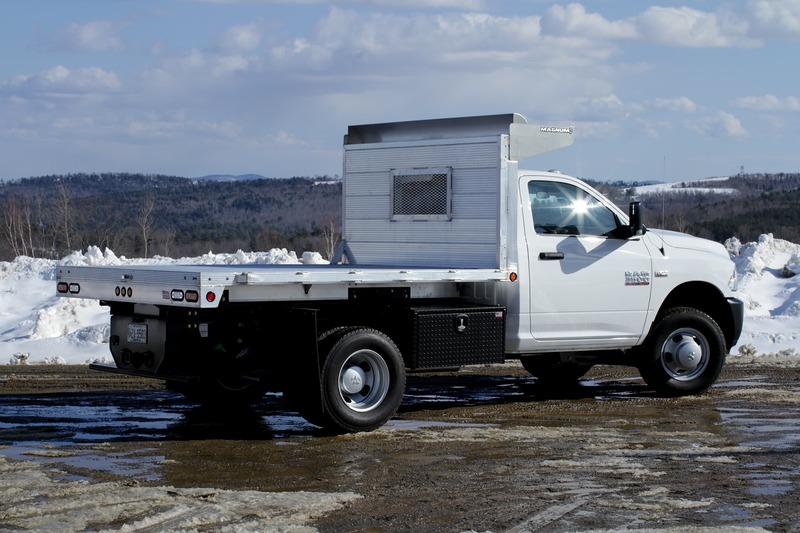 A full-size long bed can carry standard sheets of 4 ft. x 8 ft. plywood with the tailgate closed, and this is also the standard truck used to haul truck campers.